Enter a “Comment” on this very webpage through the “Leave a Comment” portal below this post. Once, the Matthew Myers-Rodeo Announcer Facebook Fan Page reaches 350 “likes” I will randomly select one winner from the pool of people who have properly completed the entry task above. That is only about 80 more likes than I have today (I’m not setting the bar too high here folks…so you’ll have roughly a 1 in 80 chance of winning the prize pack that is worth at least $85.00). 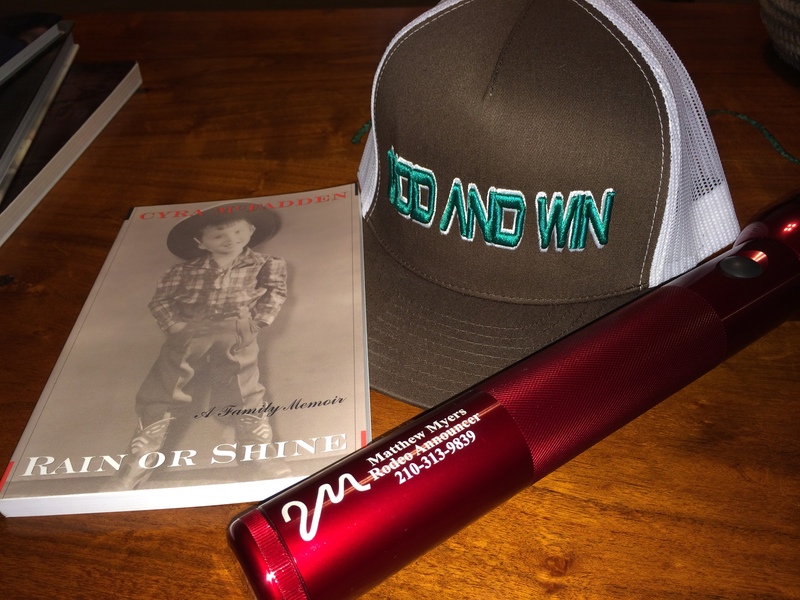 A limited edition “Matthew Myers – Rodeo Announcer” flashlight. This bad boy is a 3D cell, LED MagLight brand flashlight. Red in color with my company name laser engraved on the handle. This is a highly sought after device and only a few exist in the world!